Including this Queen Bee… Lil Kim. A lot of the greats retire; sit around the house for years, then out of the blue come up with a random, weird idea; returning to their venue for one final hoorah! This certainly was the case with New York finest, Lil Kim. According to a reputable source, Kim’s desire to return to the booth was inspired 5 years ago as Nicki Minja’s popularity peaked. The Queen Bee attempted to take shots at the Barbie diva to spark a buzz for her return, but her plan did not work. Nicki ignored the Junior Mafia affiliate & Kim remained in the sunken place. Fast forward to the present day, the “Nasty One” just finished wrapping up her 5th studio album & is excited to release it later this year. The over-the-hill artist is still sticking to her guns by promoting sexuality as the main entrée for fans. We surely hope her comeback isn’t anything less than amazing. Hip-hop needs another female lyricist to hold the throne & who’s better for that task than Lil Kim. Climb on The Family Tree below & share your thoughts about My Niece Lil Kim’s nasty situation. Aug 3 OMG… Paris Jackson Lets It All Hang Out! Aug 2 Apple 1st US Company Worth $1 Trillion Dollars! 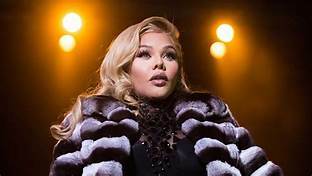 Jul 14 Lil Kim Begs to Keep Mansion! Sep 27 Happy Life-Day Tunechi… Tha Carter V FINALLY Freed! Jan 24 Lil Mo Blasts Queen Naija's "Disrespect" & Defends Loyalty To R. Kelly!! !